I got into Kingdom Hearts fairly late. I never even had a Sony console until I got a PS2 near or after the launch of the PS3, so 2006 or 2007. This has always left me in a bit of an odd position with the series: none of the teenaged nostalgia, but enough of the joy of playing the newer games along with everyone else and discovering the series' mysteries and high points. It's become an important part of my life, and it's for that reason that I've started this in-depth retrospective series, to talk about the series from end-to-end. This is is a series about joy - both Kingdom Hearts and this retrospective. It will be fairly detailed, taking a good long look at each moment, with a look at game design, narrative, art and art direction, and an attempt to capture both the perspective of an experienced fan and what I remember of being a new one. To better facilitate the latter, I try to discuss only what’s in front of us and what’s come before, to see what mysteries a new player could solve. Not so much "no spoiler" as "low spoiler." With any luck, someone unfamiliar with a particular game could read along and get almost as much from it as an experienced reader. I hope you'll come along for the ride. 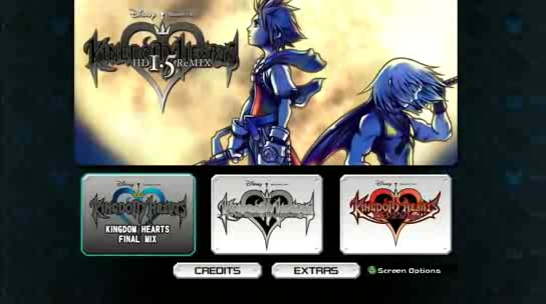 The Kingdom Hearts retrospective updates Tuesdays and Saturdays. Moving out of the tutorial and into the... introduction? Kingdom Hearts 1 has a nice, soft opening world to let you practice your basics, but it always felt like the tutorial kept on going. No party members, no magic, no Abilities unless you're at a high level, and the story is still being introduced... and then the Gummi missions! It's as though you aren't in "the game proper" until you step down on a second world! Just a question to anyone reading the entries here - what sort of article size do you prefer? My Final Fantasy entries range around 2000 words, but I tend to favour longer for Kingdom Hearts just because of the nature of the Retrospective. The size I have now will cut through most worlds in only one or two entries. But if the length is offputting, I don't mind spacing things out. What do you think? I quite like the length and am enjoying reading the retrospective! Thanks hlc, I'll keep in a similar range then! WordPress is a bad place to be hosting this. You need an account to read them. No you don't. I don't have an account and I can read them just fine! If you were navigating using the automated archive links, those Private posts were probably what was tripping you up. I'm sorry about all that. I should have just deleted them to begin with. Hopefully that solves the problem - thanks for the help and sorry for the inconvenience! I hope that solves your problem. If not any additional info would be appreciated. The site certainly should be public, and I want to squash anything getting in the way of easy access. This was a very interesting read, I can't wait to see the rest although I wonder how long it will take until you finish it. Do you take many notes to write a part or can you do it just using your memory (and let's plays)? I ask because I think it's structured really well. Thank you! The Final Fantasy Marathon has taught me to take extensive notes, something I learned around FFIV (and doubled up on during FFV). Starting with Chain of Memories (I'm ahead of the posting), I also started using scripts to keep me in line and so I could compare the the GBA CoM to Re:CoM. Soul Blazer and its pseudo-sequels are some of my favourite games ever and I'm hoping to cover them in a retrospective in the future! (Hell, there are other free days of the week, who needs free time?). This looks nice and well written. I'll definitely be checking it out on my free time. I got into the series pretty late too. Square just keeps burying poor Enix, everything that isn't Dragon Quest... though for some reason, Actraiser got on the VC? Kyle and I keep hoping the DS Final Fantasy and (though this seems even less likely) Kingdom Hearts games will hit the Wii U Virtual Console. I'll see what I can do about working a Soul Blazer retrospective into the updates, either by weaving it into the schedule or by using it as a buffer once I start to catch up in the Final Fantasy journals. In the meanwhile, the IoG boards on GameFaqs are doing their annual Group Play-through! I joined in late last year's, it was a lot of fun. Even if you don't want to play along, browsing the archived discussion can be quite insightful. It's detailed, it's well written. But it seems a lot of the time that you're just finding stuff to complain about, and noticing flaws where there really aren't any. I love reading these (and the FF ones, too) even if I disagree on a few things. It wasn't really stupid of Kairi and Riku to be on the island during the storm, although you may have just left out why to avoid spoilers. Of course, Sora being there was pretty dumb on his part. I personally like the voice acting for the FF characters, but I guess people will feel differently about those things. They are right about Aerith in KH2 though, I honestly couldn't believe my ears when she spoke for the first time. I also agree with Blackdrazon on many other points especially concering the beginning of the game, you really get the feeling that SE didn't had a very good idea where to go with Kingdom Hearts, which elements and themes work great together and which don't. It's not really bad or anything but if you look closely you can see the seams from abandoned and changed concepts everywhere. I always thought the whole point of Kairi saying "Riku has changed" and telling Sora not to change was because she was a Princess of Heart and could sense Riku's growing darkness. @Tartarus: I'm glad you're enjoying them even when you don't agree! Feel free to share if you feel strongly about something. These write-ups are so large I don't really want them to stand as a monolith, it's why I wanted comment threads and the comment section on the blog is open. Personally, while I don't like the Final Fantasy cast so far, I do like the cast from KH2 (except Aerith), and I also like Steve Burton as Cloud (so does Square, I'd say, considering he's kept the job ever since!). Lance Bass could have been pretty good too, if he has spoken up a little. @ShardofTruth: I think you've hit on it. KH1's early chapters have a lack of refinement. It doesn't always hurt it, either! I'd say it adds to its sense of the fantastic, its "fairy-tale" qualities, but with juuuust a little more editing, it could have that feeling and not feel quite as haphazard. You're absolutely right! To me, the problem is more that they don't commit, and start waffling. Half-hearted feeling that Riku has changed and that's bad, full-hearted sense that she was just joking, full-hearted sense that change is bad so maybe she was telling the truth (KH2 would have a more refined tune toward change, thank goodness), annnnnd Riku and Kairi are best friends for the rest of the franchise. Each beat makes sense on its own from an informed perspective, but taken as written, there's this sense of whiplash. That, plus what Tartarus mentioned about the kids going to the island, are some of the reasons I employed a "low-spoiler" policy. Writing from an informed position has its downsides. By letting each bit of info come to us as it comes - unless there's something complicated I have to say - I can make some jokes a new player might make (like the problem with the islands), and expose some of the problems I might miss as an experienced player (like wobbly foreshadowing)! I'm glad to have finally caught up on this retrospective (now to get back to Final Fantasy II's). You brought up some excellent points about how the atmosphere of the intro compromised the character building process and it made me look at Kingdom Hearts I's tutorial in a new light. Belated thanks, kuraudo! I thought I had replied to this, but apparently I hit the wrong button. With the most recent post, I've wrapped up the first set of worlds! I've made no secret of my opinions, but what was your favourite world? Least favourite?